Neiman Gracie is doing everything right in the very early stages of another Gracie career. His hands are better than expected and of course the jiu-jitsu champion is smooth and cut throat on the ground. 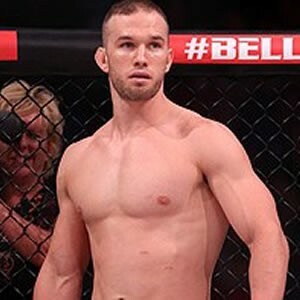 After fighting twice for World Series of Fighting Neiman is headed to Bellator. It will be fun to see what Scott Coker has in mind for the exciting young Gracie. Miles Anstead is a Nova Uniao black belt that has looked extremely impressive in his young MMA career. 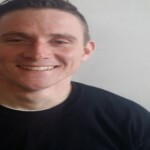 As expected he could use some work on his feet but he transitions well to the ground and should face some fantastic competition this year in Maximum Fighting Championship. Again, I am breaking my own rule, but while Gonzales is 34 he has only been fighting professionally for about 2 years. He is smooth on his feet and can finish the fight on the ground. He was 2-1 in 2014 and has already had a submission victory in 2015. Alfonso is scheduled to fight former UFC Fighter Nick Ring in June. Bubba Bush has good power but predominately uses his striking to set up the take down. He has a fantastic body lock that he uses to get the fight to the ground where he has a good ground game. His last fight was a loss to Kevin Casey in the UFC but it was overturned to a No Contest after Casey tested positive for steroids. Look for Bush to get another shot inside the octagon in 2015. Anatoly Tokov is everything you have come to expect in a Russian fighter. He is quick on his feet and methodical with his takedowns. He has tremendous power in his ground and pound. Go watch his fight with Albert Duraev from last March for proof of that. He hasn’t lost in over 3 years and is systematically beating every Middleweight M-1 can throw at him. Hopefully we can see him fight a big name in 2015. Ben is another Bellator fighter who is flat out terrifying. He wrestled at 285lbs at the University of Pennsylvania and moved down to Lima, Peru after college to teach children English. That’s where he fell in love with MMA and has never looked back. As is the case with most wrestler his striking is questionable, but his wrestling, ground and pound, and pure size makes him a tough out for anyone in the MW division. Look for him to get a crack at Champion Brandon Halsey sometime in 2015. Tim Williams possesses all the tools you would expect from a UFC fighter. He is an effective striker with a dominant ground game. 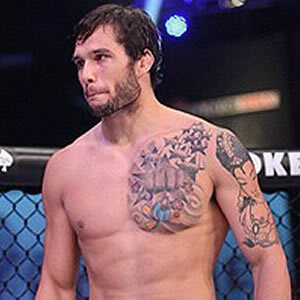 He has appeared on the Ultimate Fighter twice and in his last fight beat UFC fighter Ron Stallings. He doesn’t have the KO power that you see in some Middleweights but that doesn’t seem to matter. He has finished every fight and his only loss was due to a cut. A win over Strikeforce and Bellator veteran Anthony Smith later this month could earn him a shot in the UFC. Brandon has made is quite clear what he is going to do when he fights. Take you down, beat you up, and if you don’t quit he will submit you. It will be interesting to see him up against someone with a similar wrestling style so we can see more from his stand up. It’s hard to consider the Bellator Middleweight Champion a prospect, but at just 28 years old Brandon is on the cusp of being a huge star. A repeat of his 2014 performance will make Brandon Halsey a household name. 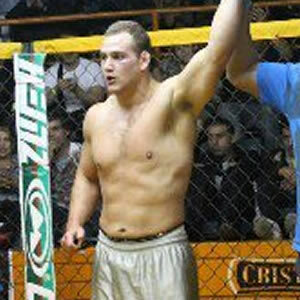 As his nickname “The Wrestler” would lead you to believe, Krasimir Mladenov controls most of his fights on the ground. He needs to drastically improve his hands and work on setting up his takedown, but when he gets a hold of someone. That’s it. He is in control. He is still a little green in terms of fighting top competition, but he should get a higher level opponent very soon in World Series of Fighting. *Emiliano was fighting at LHW and was consequently on the LHW Prospect List. He will continue to fight at MW so we made the change. Sorry for the confusion. Previous articleWho Coined the Term Mixed Martial Arts?